Kathmandu is the capital city of Nepal. It is located in the Kathmandu valley in the Himalayan hill region. Besides the city of Kathmandu, the other towns in the valley are Bhaktapur, Thimi, Lalitpur, Madhyapur and Kirtipur. 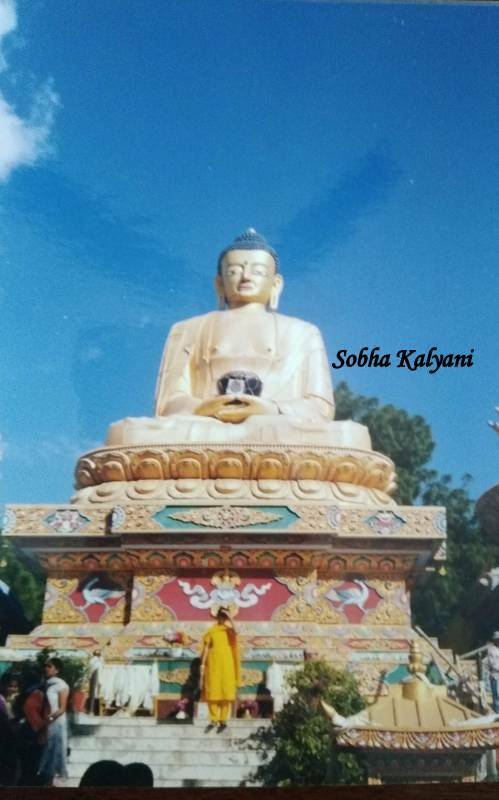 Bodhnath is the holiest Tibetan Buddhist temple and is the centre of Tibetan culture in Kathmandu. This is the largest Stupa in Nepal and one of the largest Stupas in the world. 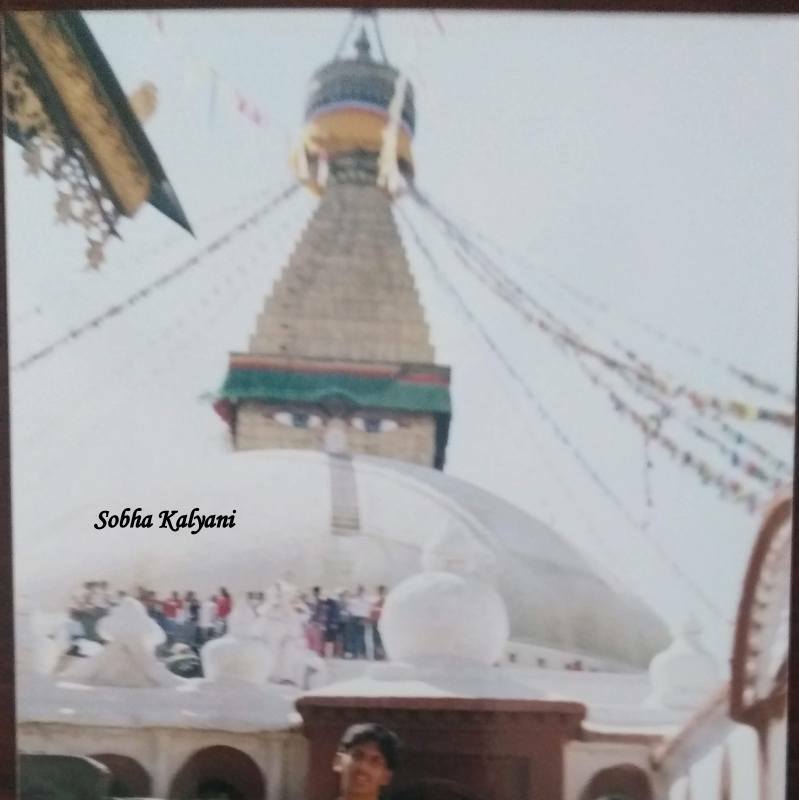 This centuries old stupa is located in Boudha town. The temple has become an important Tibetan Buddhist centre when thousands of Tibetans came to Nepal after the Chinese invasion. It is one of the main attractions of Kathmandu. It was a pleasant sunny day, so we walked around the large stupa. All around there are many traditional shops selling traditional Tibetan and Buddhist items like bells, thankas, prayer wheels etc. We have to walk in clockwise direction round the stupa i.e while walking stupa should be to our right. The way we do 'pradakshana' in Hindu temples, in a clockwise direction. While walking all along, we can spin the prayer wheels in clockwise direction. While spinning these wheels, you can recite the Buddhist mantra 'om mane padme hum'. This is the mantra is inscribed on the prayers wheels that are beside the images of 'Avalokitesvara' around the base of the stupa. 'Avalokitesvara' is a Bodhistava' and is referred as 'Padmapani' or 'Lokesvara' in Sanskrit. 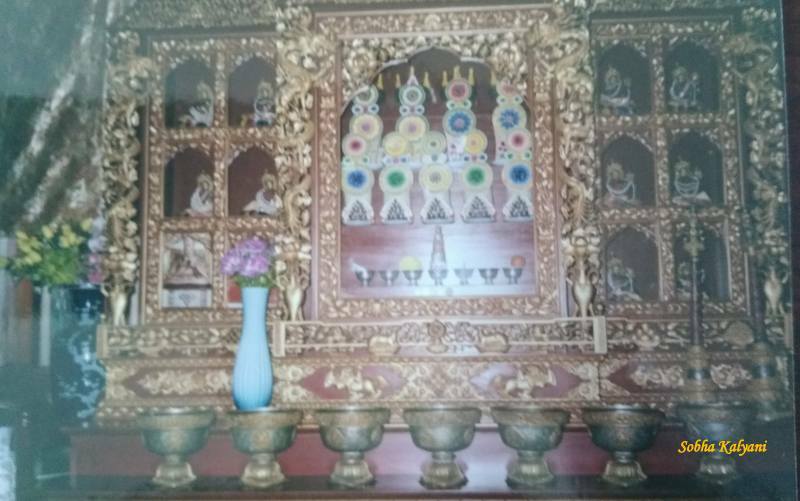 Besides the steps leading to the stupa's dome, there is a small shrine known as Ajima shrine. There is a legend in connection with this shrine. It is believed that Ajima was a demon who later turned to be a protector of children. We can even enter and walk on the white dome of the stupa where from we can take clicks and enjoy the surroundings from a height. From here we can view the entire square. There are several gompas all around and Tamang gompa is one such gompa which is opposite the stupa. There is a giant prayer wheel at this gompa, a balcony overlooking the stupa. and a big statue of Buddha at this place. After a walk around Bodhnath stupa, we proceeded to Swayambunath. Swayambhunath stupa is yet another important attraction of Kathmandu. This is on top of Swayambu hill in the Kathmandu valley. The prominent feature of this stupa is two painted eyes of Buddha on its top. Swayambhunath is also a World Heritage site and is an architectural excellence of the bygone centuries. There is the mention of this great Stupa on a 5th century C.E (Current Era) stone inscription which is the earliest written record. After going round the stupa and taking few pics, we then visited Patan Durbar Square which is located at the center of Lalitpur area. This is one of the 3 Durbar Squares in Kathmandu and all the World Heritage sites. The area is crowded with tourists, local vendors selling traditional stuff and many temples like Krishna mandir, Bhimsen temple, Vishwanath temple etc. 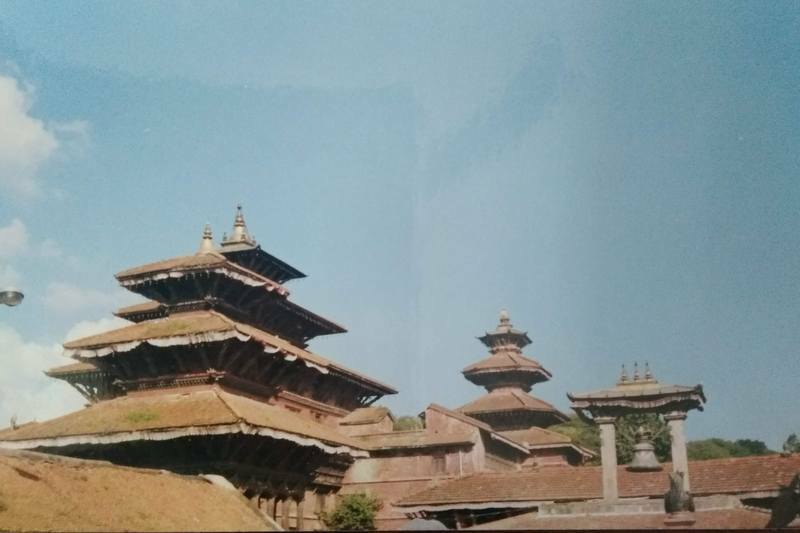 Durbar Square is an excellent wonder of Newa architecture. The five-storyed Taleju Bhawani temple with tripe roof is worth visiting. After admiring the architectural wonder of the area, it was time to get back to our hotel. A full day sight-seeing in Kathmandu was a worthy one. We were so tired that we just dumped the stuff that we shopped and laid on the beds. The tired bodies laid down like logs of wood and we got up a bit late the next day morning. We packed up our baggage for our return journey with cherished memories of the wonderful trip. Our visit to Kathmandu was years before the devastating earthquake.